I’ve been debating with myself if I should post about it (again) but walking the streets of Zgareb the last few days in the summer sun (it feels so warm) and smelling the lazy, sweet, seductive smell of the linden flowers, I just can’t help myself but share it. 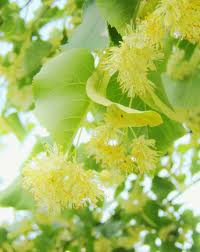 It will last for a week, maybe two and the smell will be gone and I’ll forget again how many linden trees are in Zagreb and how wonderful it smells when they bloom. I’m extremely envious! Linden blossom is probably still my most favorite floral scent. Ever. There are absolutely no linden trees around here but when I saw you post (many days ago – I am that slow with replies 🙂 ) I decided to wear Jo Malone’s French Lime Blossom. I enjoyed it a lot and even got two compliments from co-workers. Does that mean LIme Blossom smells like linden flowers?! Because if it does, I need to try it as soon as possible. 🙂 I’m still looking for a linden perfume to love. French lime blossom is linden – just a different name 🙂 Here I told my story with it. But I really-really recommend it. This one and Under den linden are my two favorite linden scents.